If you are tired of the same battles in Call of Duty or Battlefield, and the thirst of action and adrenaline is still beating in your heart, then you will definitely like Army of Two: The Devil's Cartel. Developers have released a promotional video, which is called "action blockbuster". In the video you will see two brave Army of Two: The Devil's Cartel characters with code names Alpha and Bravo, that are fighting the crime with all available methods, even if they are outside the law. These brothers in arms wear masks and do not hesitate even if they have to use missiles in urban settings, if circumstances require so. And there’s more, the list of game achievements appeared the other day, most of them require a certain number of kills or destroyed buildings. There will be a great choice not only of weapons, but also of masks, tattoos and other attributes that are need by the heroes on high levels. 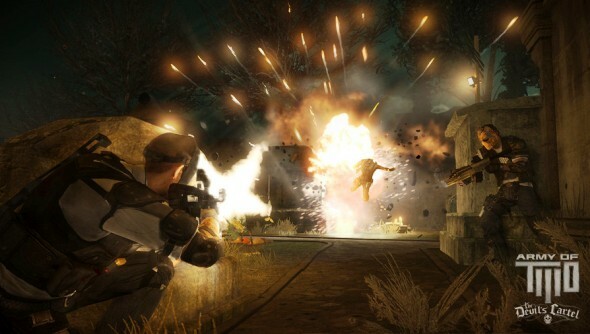 You can download Army of Two: The Devil's Cartel for free now, although it is only a demo version of a cooperative mission. 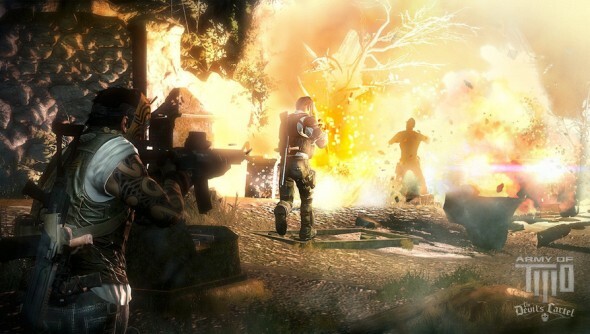 More detailed information about the multiplayer mode you will be able to learn from a special trailer below, or after the game’s release, which will be held on March 26 for Xbox 360 and PlayStation 3.